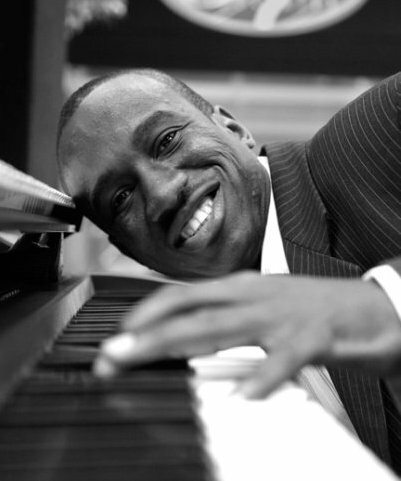 Nelson Malela Ntsiloulou, a gifted pianist born in the Republic of Congo on 5th March 1981. Nelson first put his fingers to the keys at the tender age of 10 years old and from that moment was captivated by the melodies he could create. At the age of 14 years old he performed his first concert playing different styles of music ranging from Blues, Jazz, Folk, Reggae, Rap, Zouk, Salsa and Rock. Nelsons’ talent was easily identified and thus created endless opportunities for him to perform at music events such as FESPAM - Festival Panafrican de Musique and CCF – Institute Francais du Congo. He also made several appearances on Tele Congo and Radio Congo. He draws inspiration from legends such as Nelson Mandela, a peace artisan in the world and a promise to South Africa. Similarly Nelson Malela is a son of promise as his second surname is ‘NTsiloulou’ which means ‘Promise’. In 2004, whilst Nelson was performing at the Le Meridien Hotel the late Brenda Fassie was dining at the same hotel and could not resist and accompanied him on stage. That same evening she invited him to come to South Africa. Within a year many fell in love with Nelson as a person and Nelson with the incredible gift and this enticed him to remain in South Africa and pursue his dream. He formed a duo in Cape Town and performs in restaurants, Hotels and for Private and Corporate functions in the Cape Town area and also teaches music. He was the resident pianist at the Marimba Restaurant Cape Town 3 nights a week for 3 years and for the past year he has been playing solo piano at the 5 star Taj Hotel, the Radisson Blu and The Table Bay Hotel in Cape Town. He is professional, disciplined and experienced and plays all styles of music from jazz, pop, Latin, reggae, zouk (music from the Indian Ocean Islands) as well as Contemporary classics.